THE ENCYCLOPEDIA ABOUT ALL THINGS CALIFORNIA ISLANDS — KEEPING ISLAND HISTORY ALIVE AND BRINGING THE DEAD TO LIFE. Readers are encouraged to contact ISLAPEDIA author, Marla Daily, with comments, edits and suggestions. ISLAPEDIA is a comprehensive California Islands encyclopedia covering hundreds of topics and thousands of entries on all eight California Channel Islands: San Miguel, Santa Rosa, Santa Cruz, Anacapa, San Nicolas, Santa Barbara, Santa Catalina and San Clemente Islands. All additional Islands of the Californias are included as well. ISLAPEDIA includes more than 2000 people whose lives or deaths intersected with the islands, plus place names, ships and shipwrecks, island events and noteworthy topics. Rare 19th and early 20th century island references and unique unpublished manuscripts and diaries are found here. ISLAPEDIA was begun in 1973 by cultural anthropologist, Marla Daily, president of the Santa Cruz Island Foundation(1987-current). 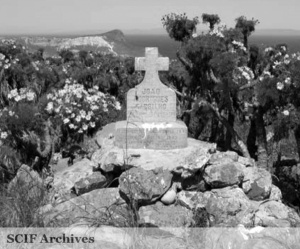 The Santa Cruz Island Foundation is the sole institution devoted to the cultural history, art, film and science of all California Islands. ISLAPEDIA is a continuing research work in progress—now in its 4th decade. 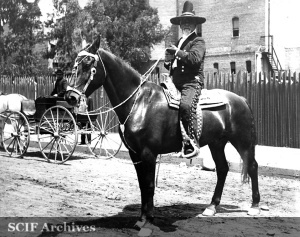 PEOPLE: ISLAPEDIA includes short biographies of over 1000 people whose lives intersected the California Channel Islands between 1850 and 1950 – those who would own them, those who would work them, those who would visit them with purpose. zations, and schools. Entries range from Abalone Point to the Yamada Commercial Company. 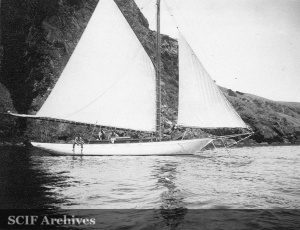 VESSELS: Over 600 vessels are included, from the 19th century otter-hunting schooner, Achilles, to Zingara, a 52-foot gasoline-powered schooner that burned off Anacapa Island in November 1931. More than 140 shipwrecks are listed by island, and cross-referenced alphabetically throughout ISLAPEDIA. This page was last edited on 19 April 2019, at 11:01.